Step 1 Heat the oven to 350 degrees. Grease a 13-by-9-inch baking pan. Line the bottom of the baking pan with aluminum foil, and lightly grease the foil. Set aside. Step 2 In the bowl of a food processor, combine the flour, sugar and salt. With the machine running, add the butter pieces and continue to process until the mixture resembles very fine, moist crumbs. The mixture won't come completely together in the processor. Step 3Turn the crumbs out onto the prepared baking sheet and, using your hands, gently press to form a smooth, even layer. Bake until the crust is a light golden brown, 30 to 35 minutes. In Recipes-list.com we have selected the most viewed recipes from category - Desserts . Enjoy the best recipes specially selected for you! 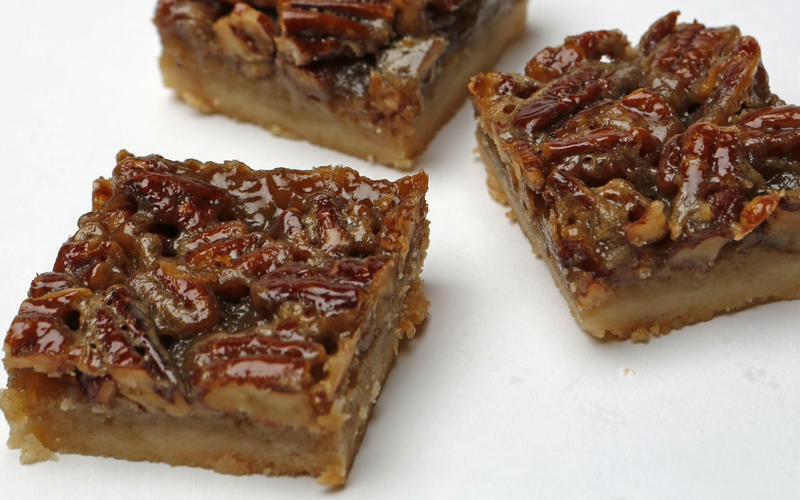 Maple pecan pie bars is the right choice that will satisfy all your claims.